Catching king salmon with Angling Unlimited in Sitka, Alaska. What’s the Deal: An early season fishing offer from Angling Unlimited, the premier charter fishing company in Sitka, Alaska. This is prime time for king salmon and halibuts. 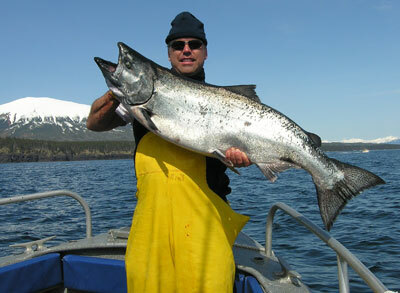 Details: Travel to Sitka and fish with Angling Unlimited between May 23 and May 31, 2013, and get 20% off. Or fish with them between June 1 and June 8 and receive 10% off.